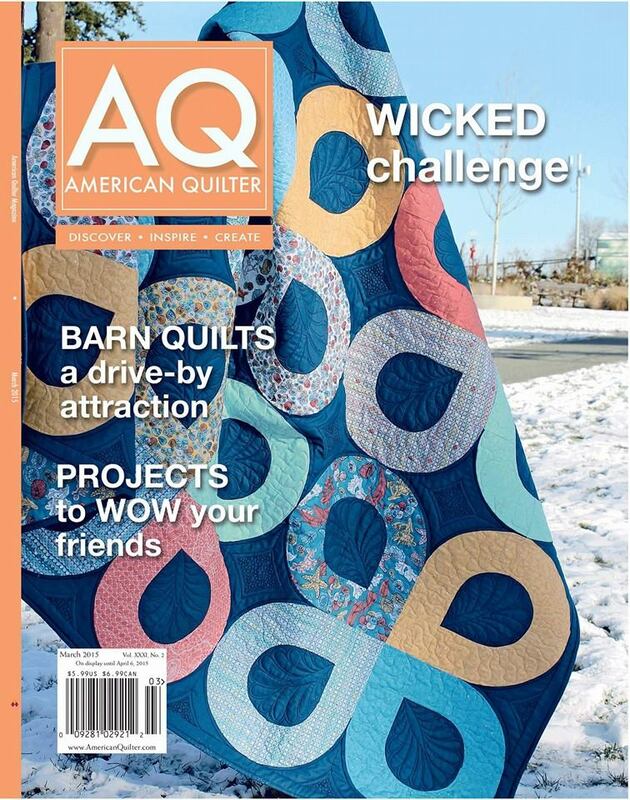 I am so happy to be writing tonight, because I finally get to tell you all about my new online only pattern series with American Quilter Magazine! 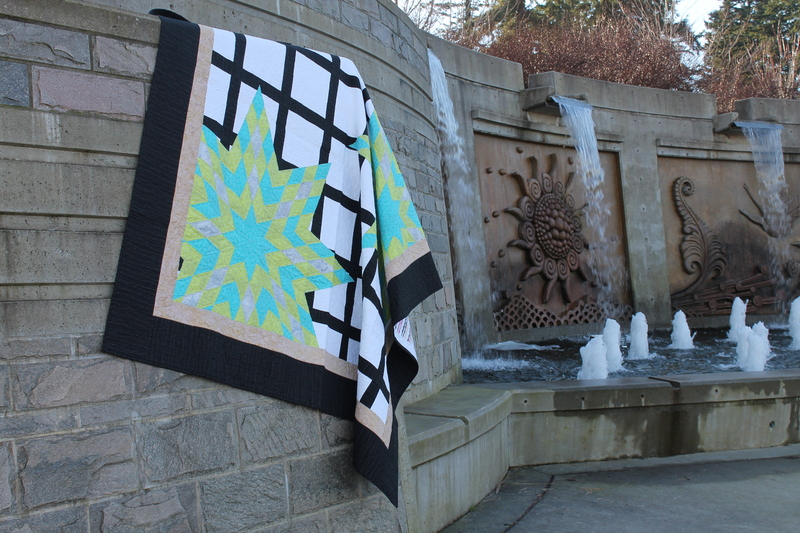 We set this up back in November, when I made the Whirlpool quilt, and I have been working away since then on a 5 quilt series. 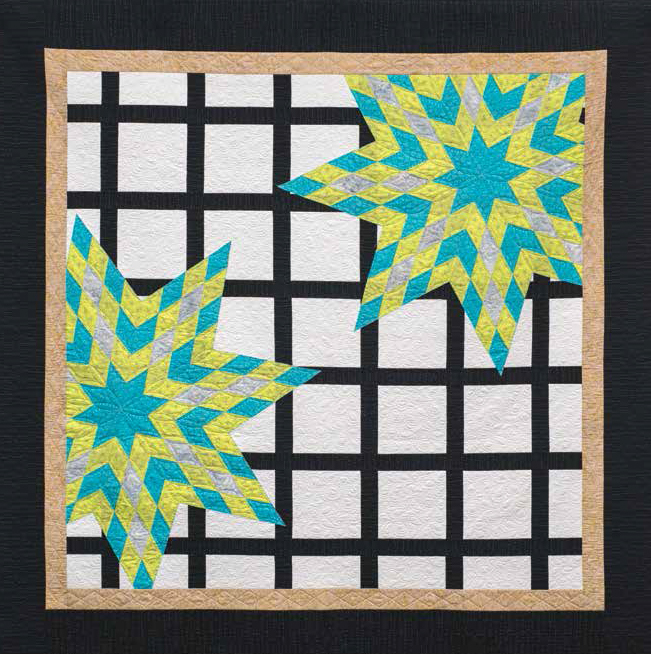 The patterns are downloadable on the American Quilter website, just click here for a direct link. The pattern series will use a variety of techniques, from applique to paper piecing, and will cover a broad range of skill levels. First in this series is Photobomb. Photobomb is one of my favorite designs. 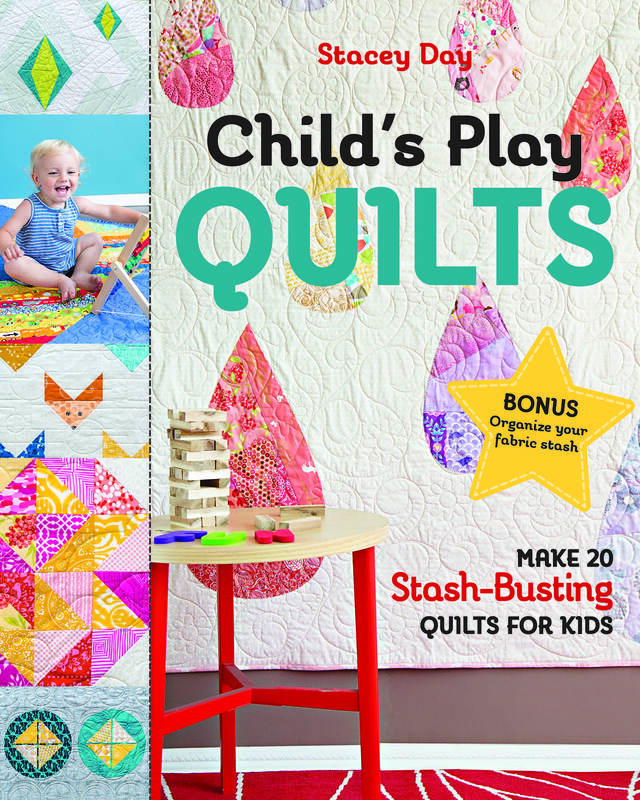 Originally for the book that never was, AQS liked it a lot and agreed to use it as the first quilt in the series. It combines traditional lone star construction with raw edge applique and an improv layout. 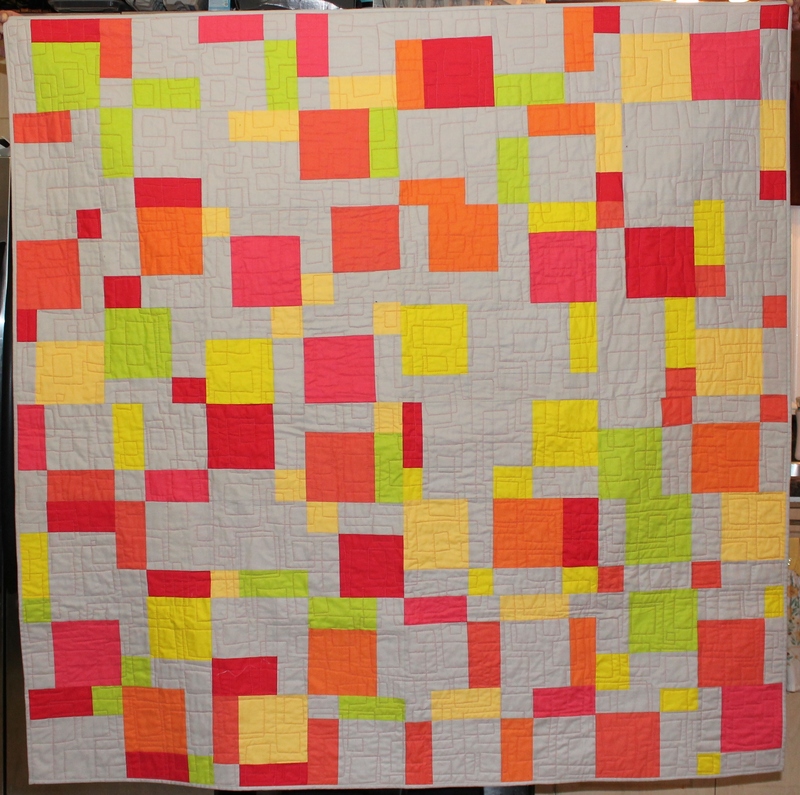 I always thought this quilt would look great resized as a baby quilt in rainbow colors, so I might have to make one and see if I am right! 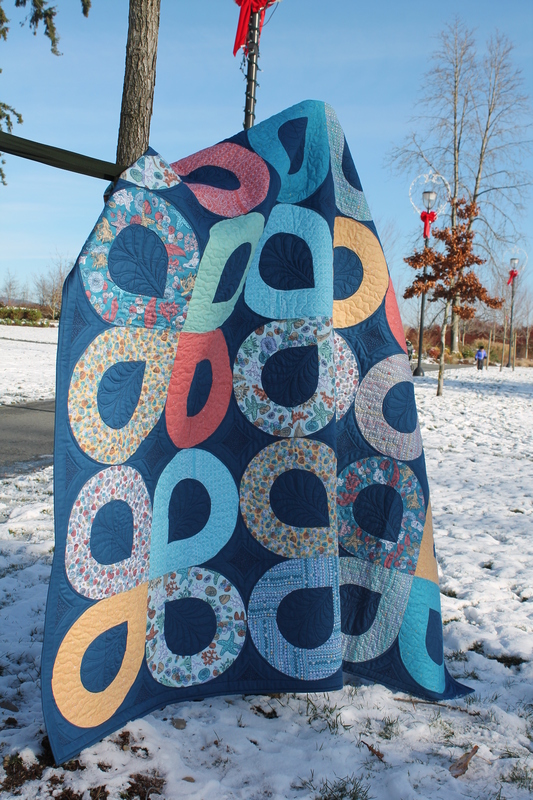 The quilt was inspired by one of my favorite placed to take photos. The walkways are cement square tiles with inlaid rock mosaics spaced out around the center fountain. The fountain has a beautiful carved sunburst, which always appeal to me and my love of stars. My good friend Joan at Maple Leaf Quilters did an amazing custom job for me. 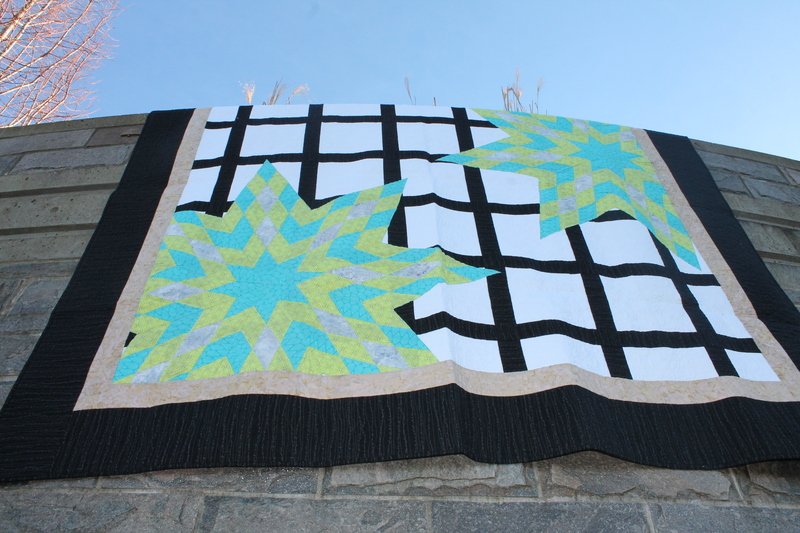 The white areas are all quilted in a freehand paisley, the black borders have a ribbon candy pattern, and the stars segments are filled with orange peel echos. I just love it! The layout possibilities are endless with Photobomb. The background can be plain solid, or pieced with smaller sashes, the stars can be put anywhere you want, borders can be replaced with facings, the list goes on! 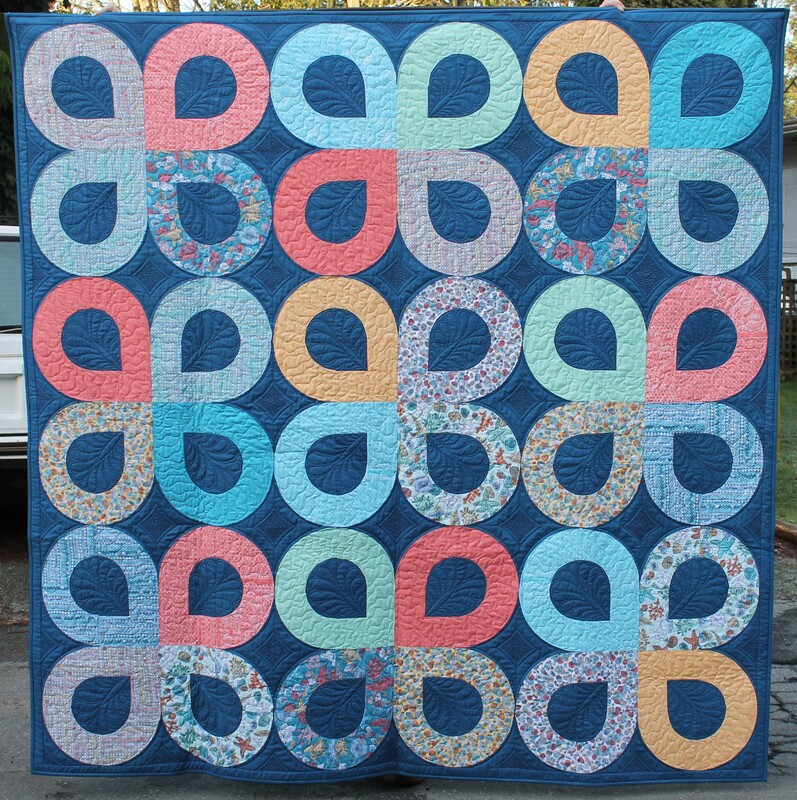 I am going to be offering this quilt as a workshop, so if you or your guild is interested, please feel free to contact me. I have a lot of tips and tricks to share and techniques to teach. As usual, I want to see what you are making! 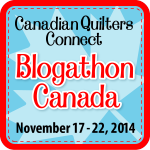 Tag me on Instagram @staceyinstitches, #photobombquilt, send me an email, or upload your quilt to the Stacey Day Quilts group on Flickr. I still cannot believe I am writing this. 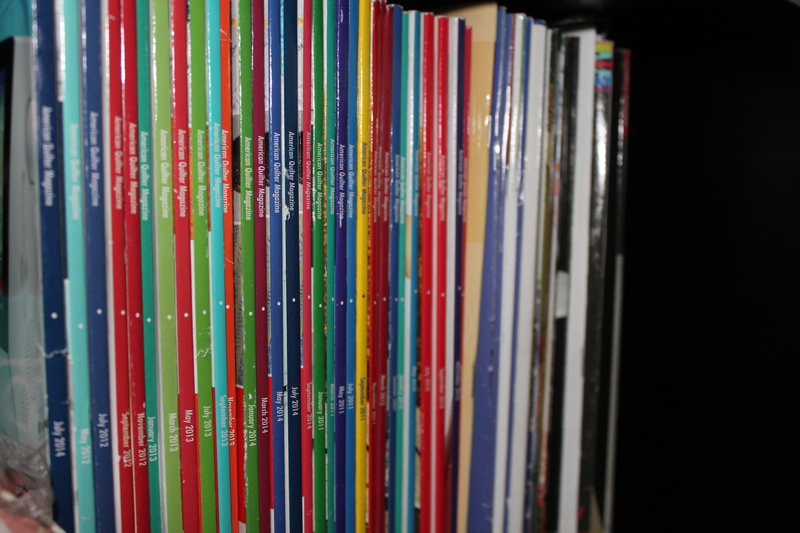 I have been staring at my inbox for an hour with mixed emotions. The common thread of these thoughts is a combinations of happy and incredulous. Sherbert at the Beach, my Michael Miller Cotton Couture Challenge Quilt, won 1st place in the Modern Wall-hanging Category. I am so happy and speechless and excited. Thank you very much to the AQS judges! You can see the best in show entries and all the winners here. The Best in Show is a stunner!